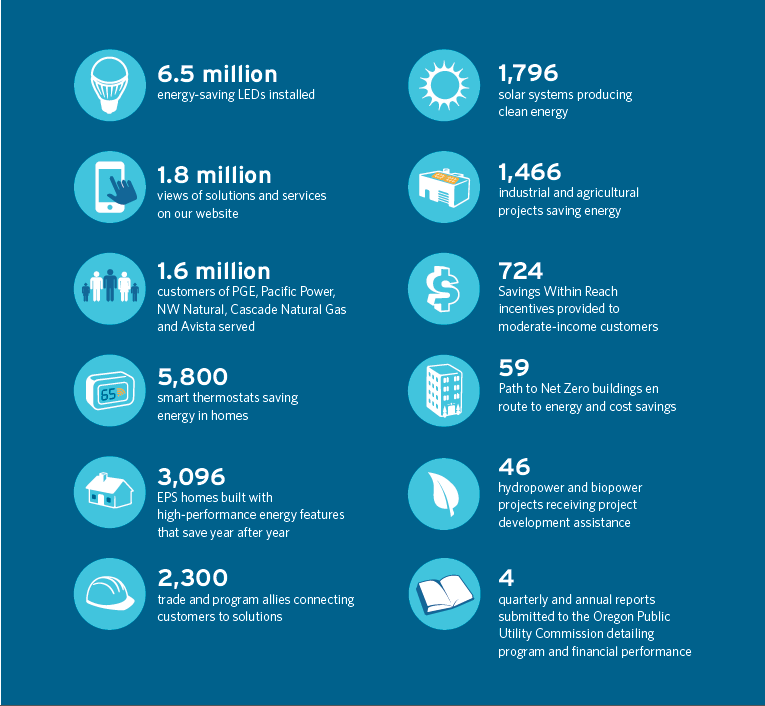 Energy Trust’s work to deliver cost-effective efficiency and clean renewable energy helps keep costs low for customers and builds a more sustainable energy future for our communities, and 2017 was an outstanding year for innovating and achieving these goals. Last year, we helped customers of Portland General Electric, Pacific Power, NW Natural, Cascade Natural Gas and Avista save more electricity than ever before and maintained record natural gas savings—at even lower costs than the year before. 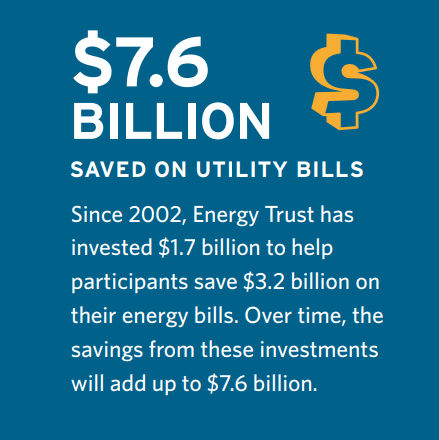 From 2002 to 2017, Energy Trust helped participating homeowners, renters, businesses, manufacturers, farmers and ranchers save $3.2 billion on utility bills. Over time, those investments will add up to $7.6 billion. 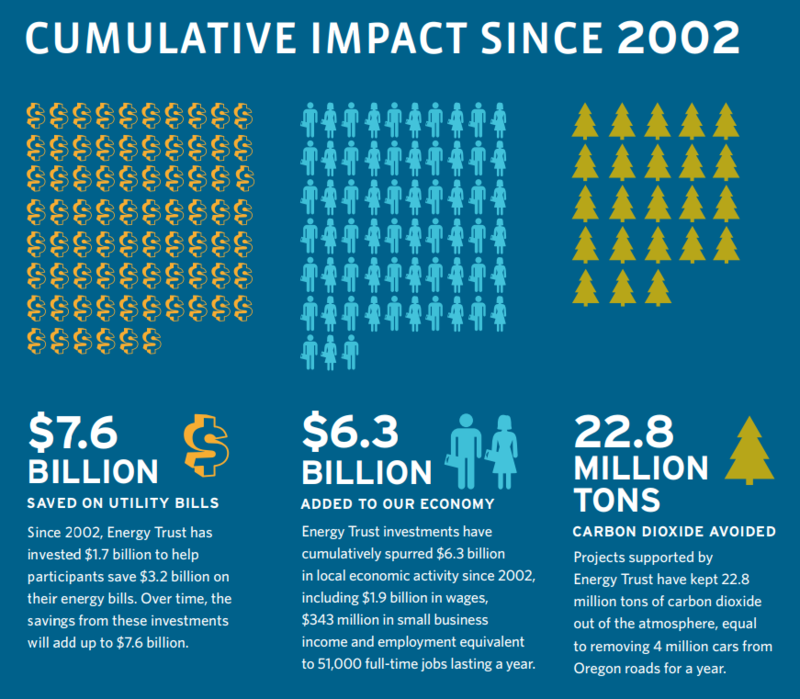 See detailed 2017 results and customer stories at www.energytrust.org/annualreport. The report highlights our achievements through the stories of our customers who upgraded to LEDs, installed high-efficiency heating systems, renovated historic buildings, added solar panels and attended do-it-yourself weatherization workshops. These stories are a small sampling of the tens of thousands of homeowners, renters, businesses, factories and farms we served in coordination with utilities in 2017.